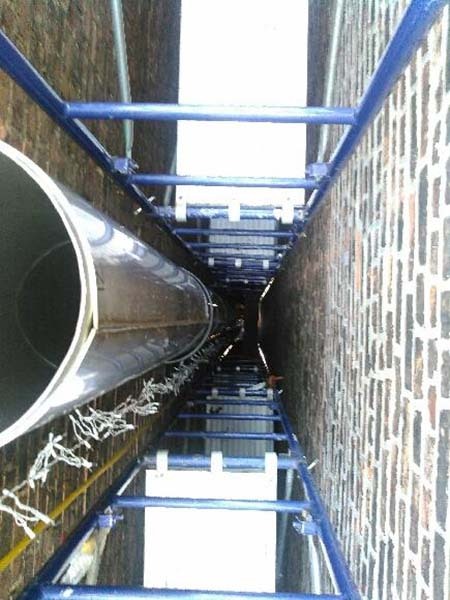 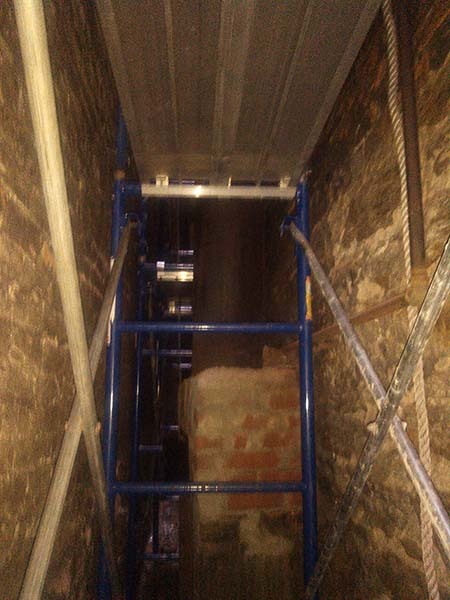 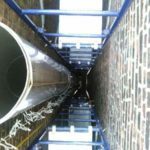 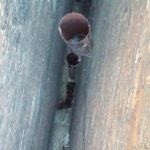 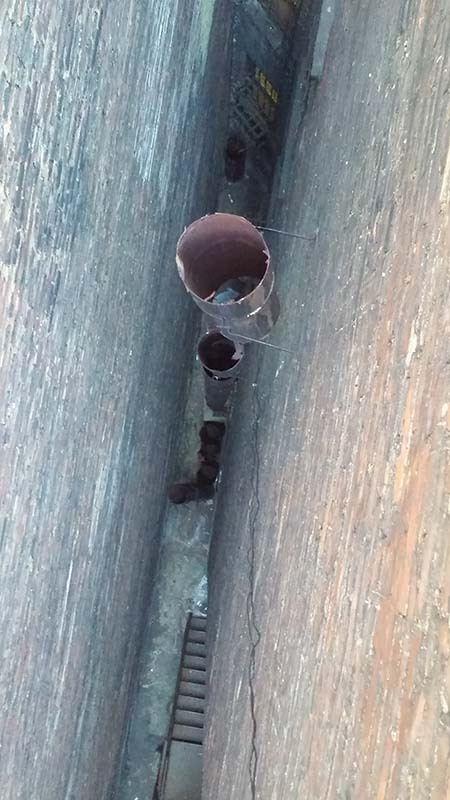 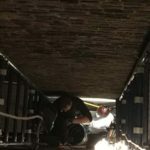 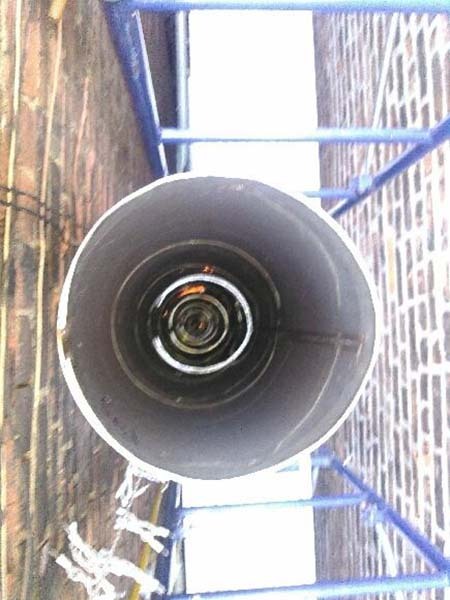 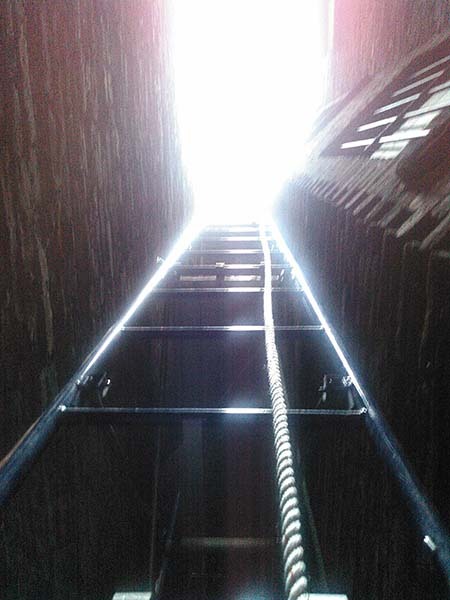 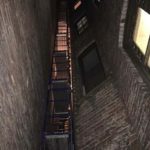 This was an emergency call where the external chimney stack had collapsed preventing the building from providing heat and hot water to tenants. 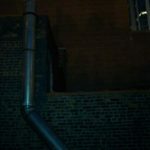 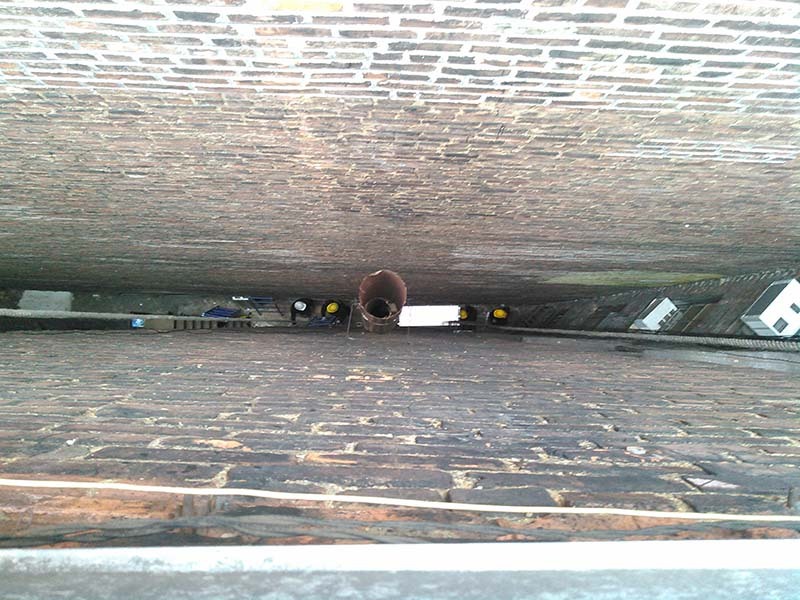 Within the hour of receiving the call we were on site assessing the situation and determining a solution. 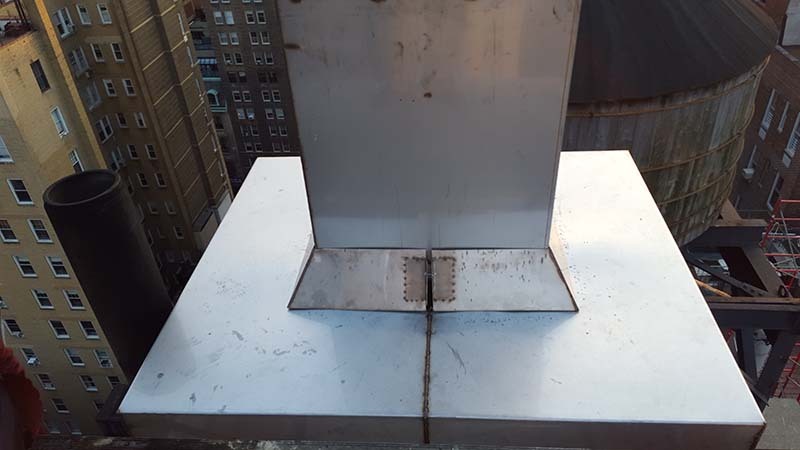 A proposal was provided and approved. 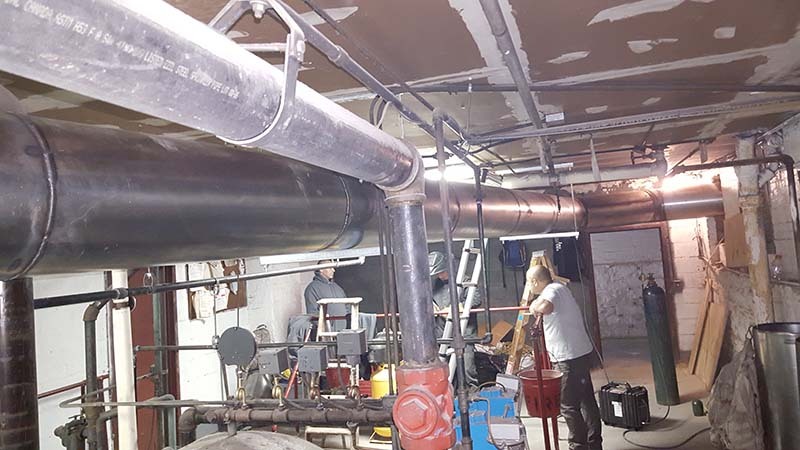 Manufacturing the new pipe for the job was done on an emergency overnight timeline so that the next morning we were able to mobilize and work at the jobsite. 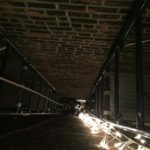 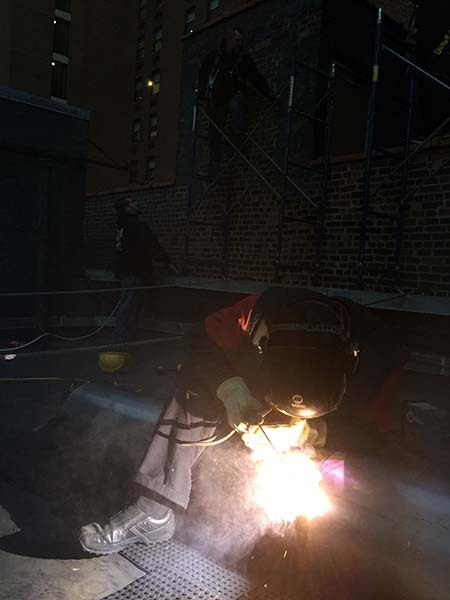 We arrived with a 10man crew the very next day, erected two 90’ scaffolding tiers and got to work. 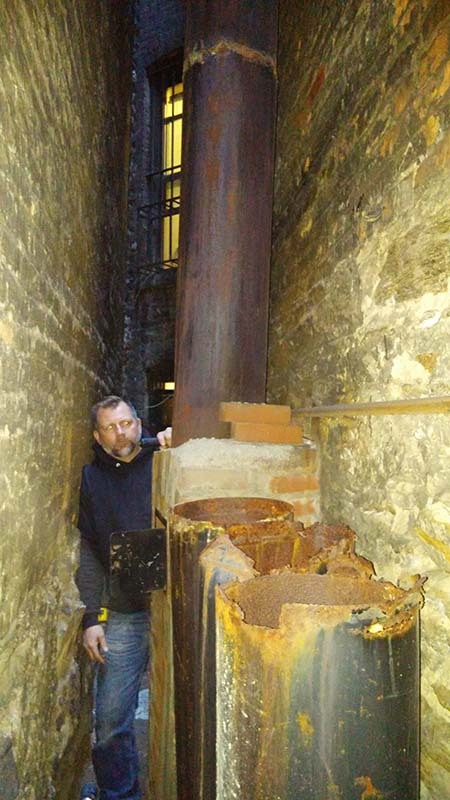 The remaining portion of the old stack was removed. 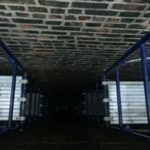 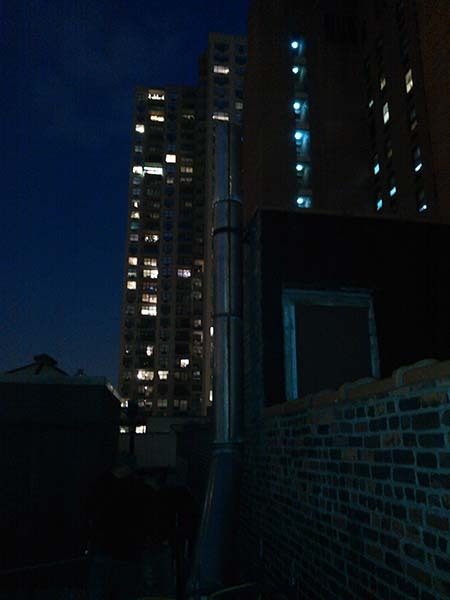 A completely new stack was erected and in place by 11pm that evening so that the building could provide heat and hot water for their tenants. 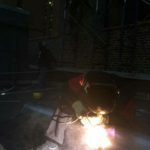 At points we had up to 16 staff members on site working. 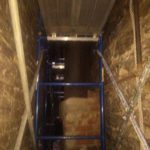 With the emergency portion of the project over with, we went back over the next few days to complete the project and clear the site. 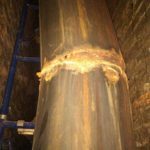 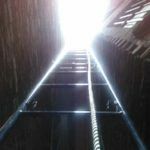 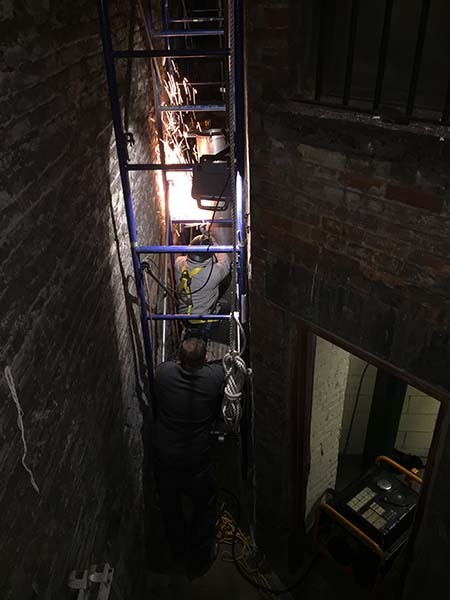 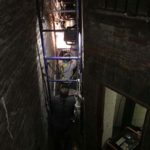 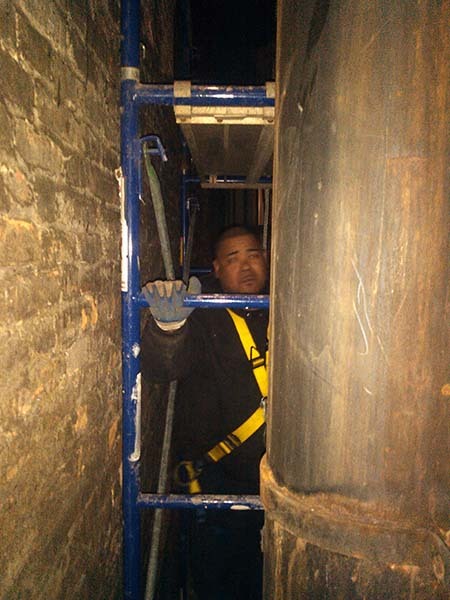 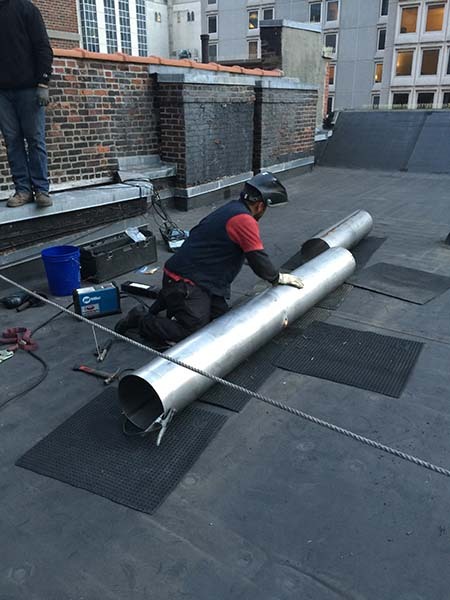 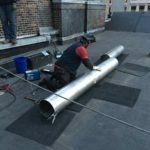 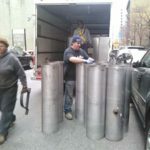 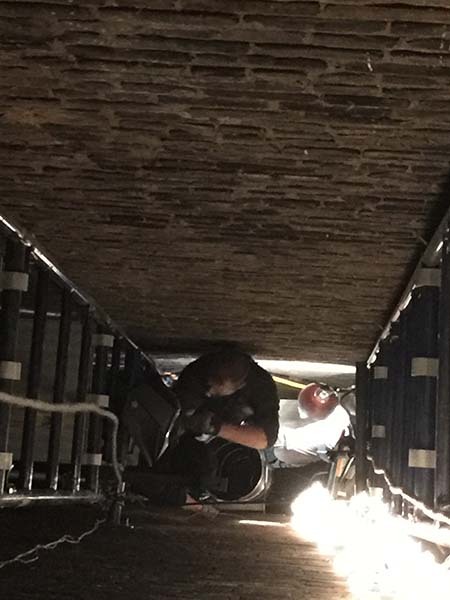 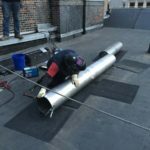 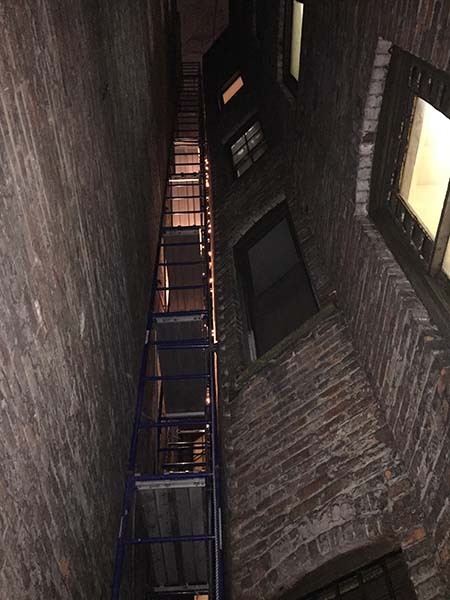 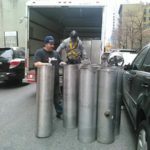 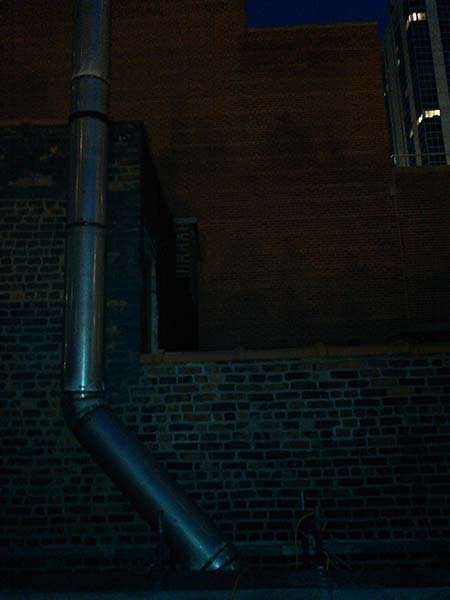 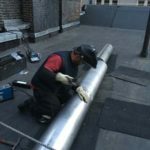 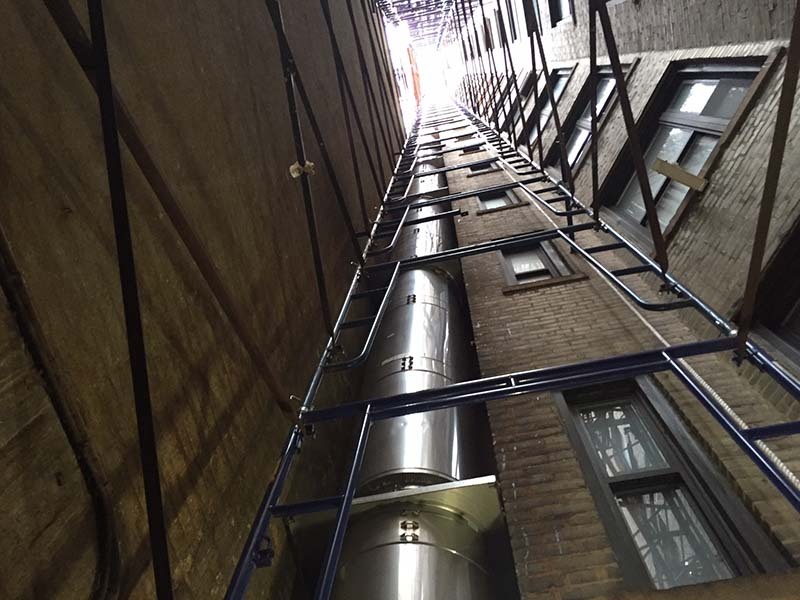 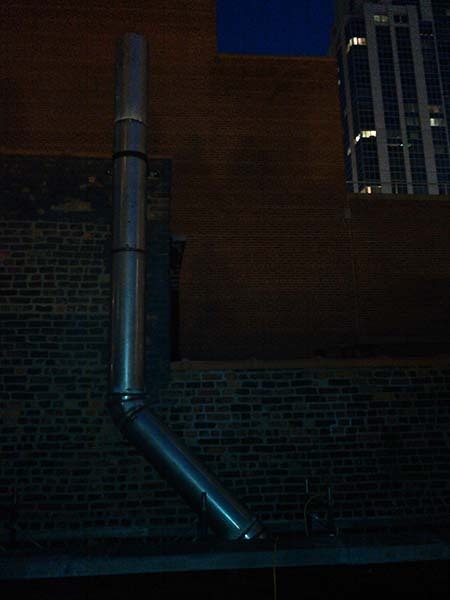 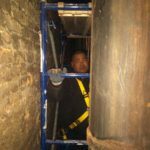 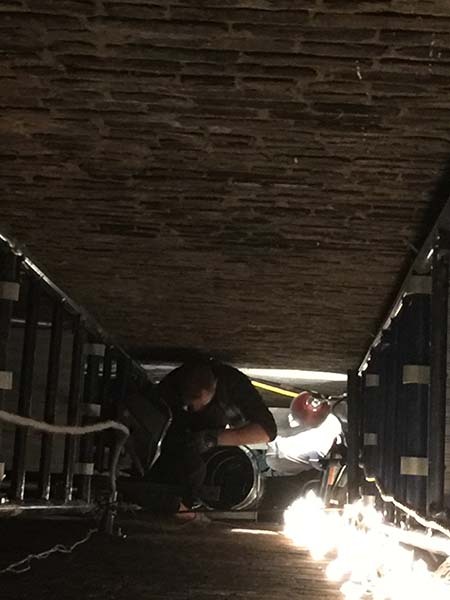 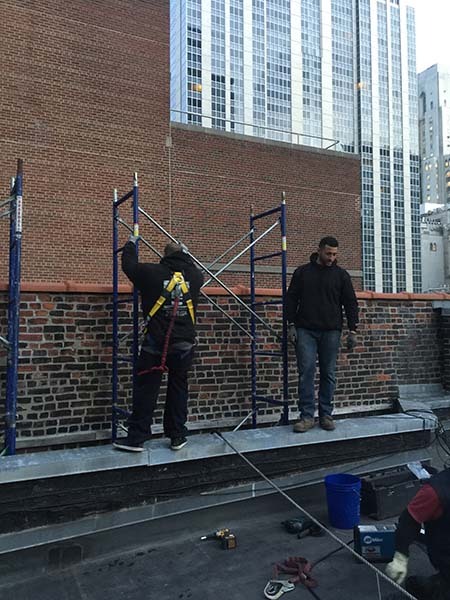 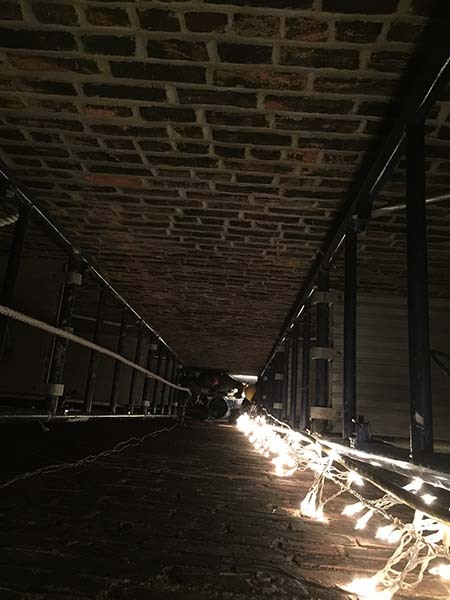 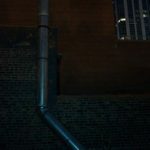 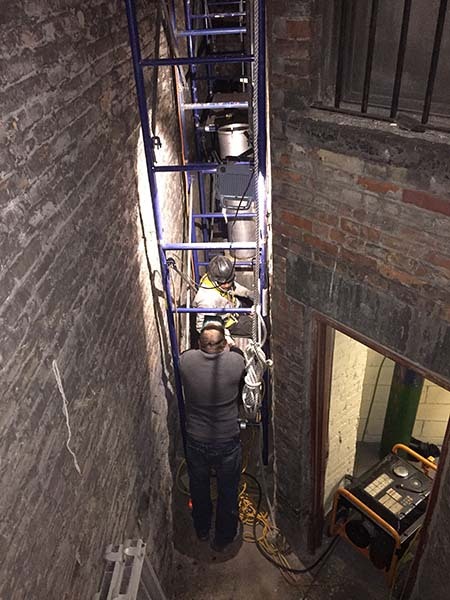 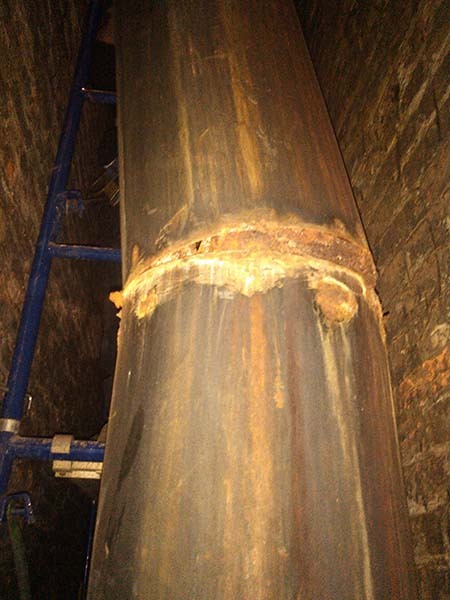 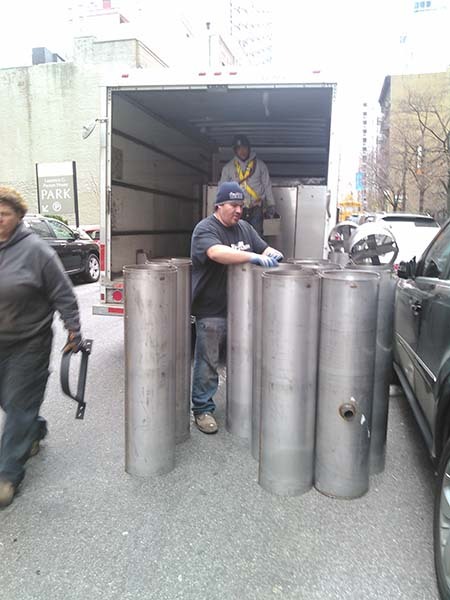 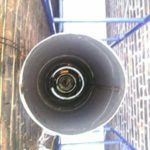 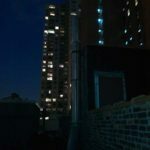 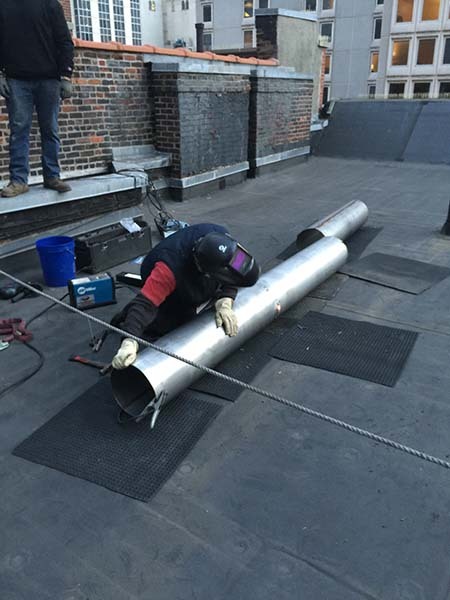 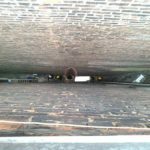 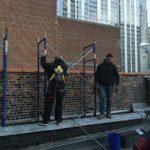 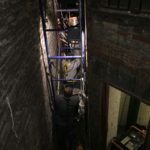 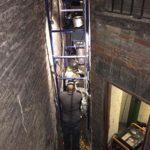 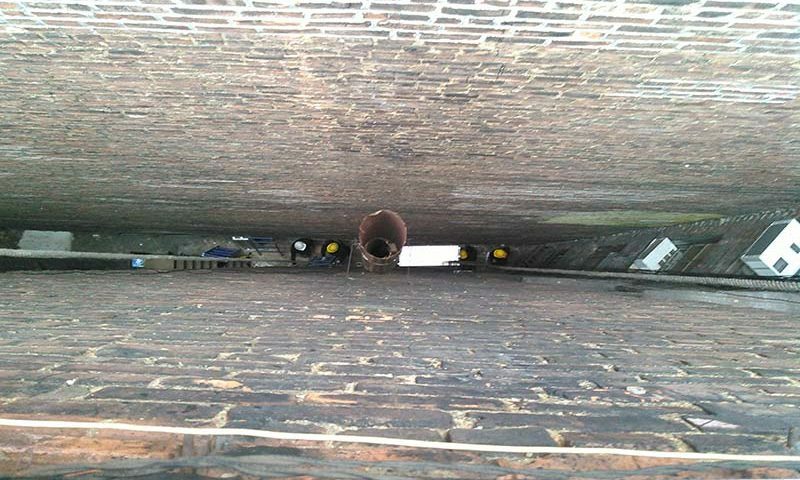 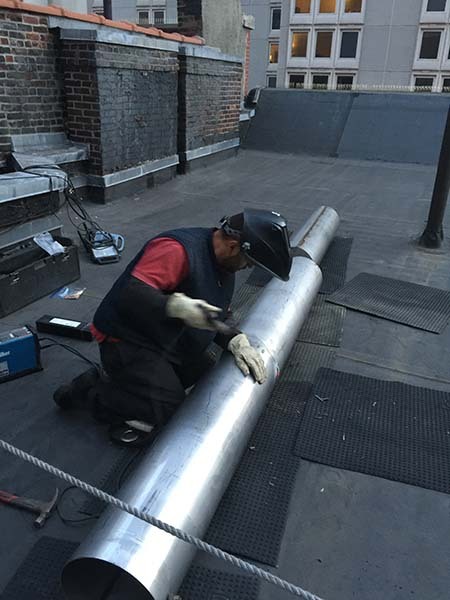 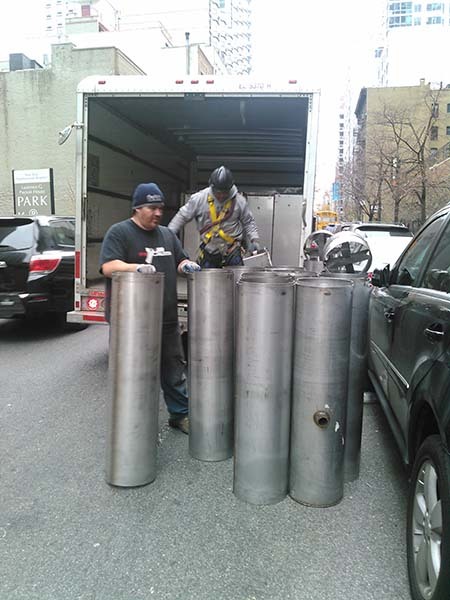 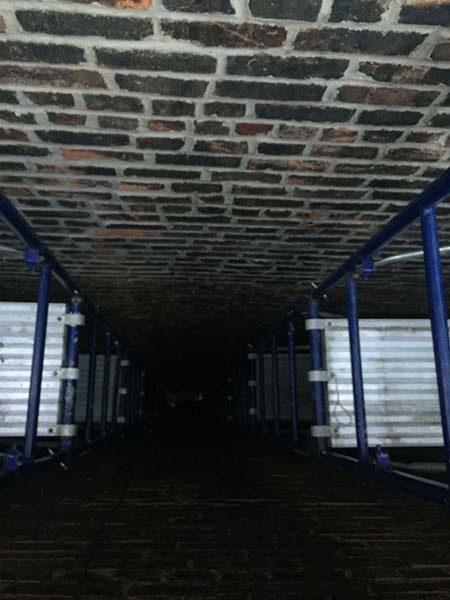 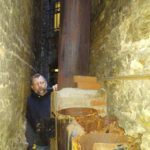 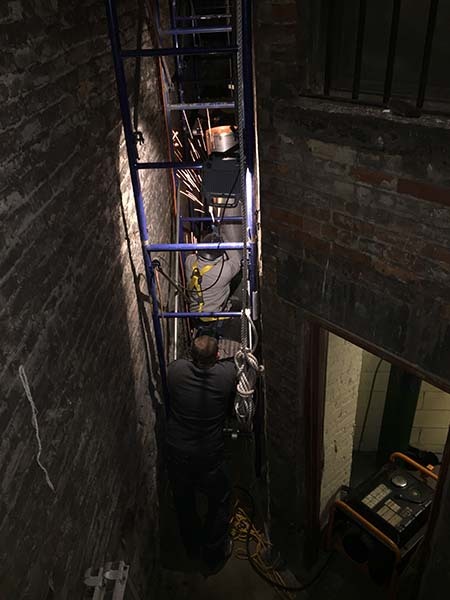 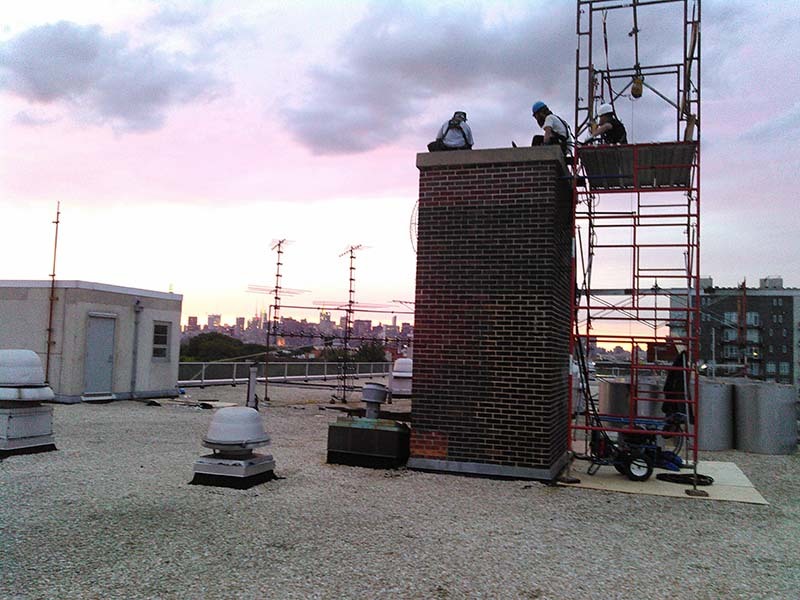 Once the new chimney stack was installed we performed a pressurized smoke test and issued the chimney affidavit for NYC DOB and Con-Edison.